Continuing its worldwide rollout of the iPhone 5s and 5c, Apple has taken down the U.S. Online Apple Store to prepare for sales of the device, slated to start at midnight Pacific time. Update: The Online Apple Store and the Apple Store iOS app are taking orders for the iPhone 5s and 5c in the U.S., with all models available. As of 12:15 a.m. Pacific, all versions still show 1-3 day delivery estimates. As of 8:30 p.m. Pacific, Apple's online storefront was showing the familiar "We'll be back" sign, meaning the company is prepping for what is expected to be an onrush of orders for the latest iPhones. Brick-and-mortar Apple Stores are also seeing anxious customers queuing up to get their hands on one of the new devices, though line length varies from store to store. While preorders of the iPhone 5c began last week, the iPhone 5s will not be available from Apple until Friday. 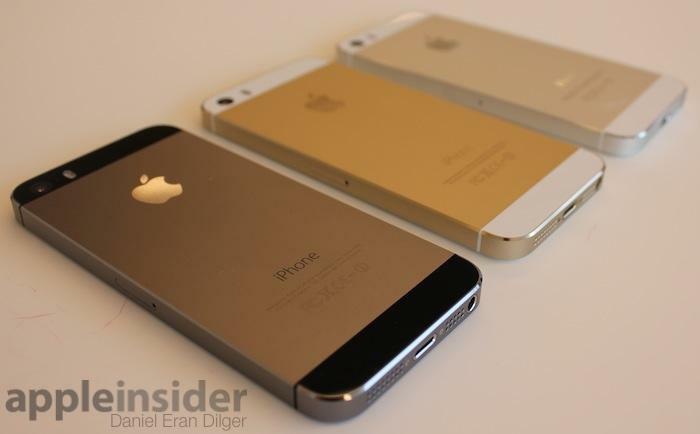 Adding pressure to early adopters are reports that Apple's supply of the iPhone 5s is very limited, especially for the new gold colored version. When the Online Apple Store returned to service in Europe, supply of iPhone 5s units quickly went, with many customers seeing delivery dates of 7 to 10 days. The same scene played out in Australia, while 5s inventory allotted to China's early reservation system was depleted within hours of going live. The U.S. is the last region to place orders, though it is not currently known how Apple divvied up its launch day allotment. Those looking to nab an iPhone 5s will need to visit their nearest Apple Store, which opens for sales at 8 a.m. locally.